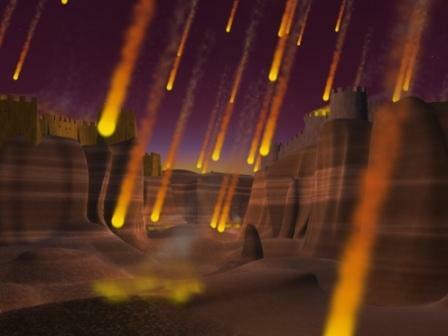 And below is an image of verse 24: "Then the LORD rained down fire and burning sulfur from the heavens on Sodom and Gomorrah." 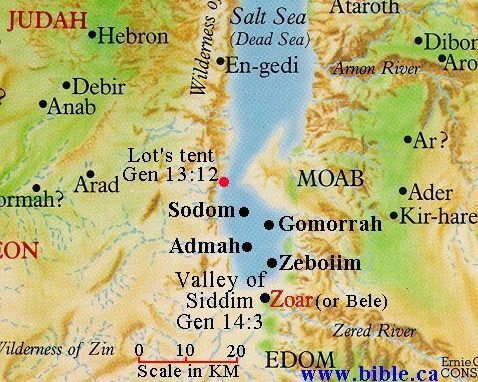 Bible.org's commentary on today's readings in Genesis titled "If I was God..." is at this link, and "Sin and the City" is at this link. 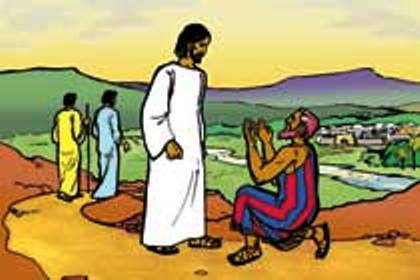 New Testament - Today in Matthew we continue the Sermon on the Mount! 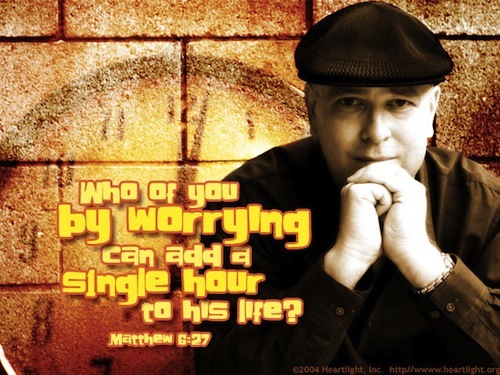 Chapter 6 verse 27 is solid science from Jesus: "Can all your worries add a single moment to your life? Of course not." Wouldn't you agree that scientific studies show that severe worrying (anxiety) can actually decrease the longevity of your life? Jesus knew his science! :) Truly... I do think you'll continue to be amazed by the scientific validity and Truth that is exhibited in the Bible over and over and over again as we read it this year! 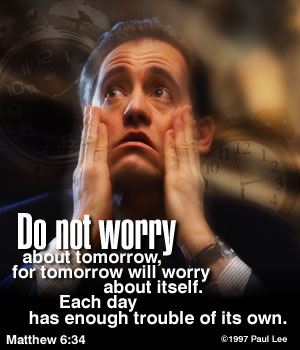 Chapter 6 verse 34 (in image above) has always been one of my favorites to remember: "So don't worry about tomorrow, for tomorrow will bring its own worries. Today's trouble is enough for today." Great great truth here. I'm not sure if anyone has ever read a Dale Carnegie book about worrying? It's called "How to Stop Worrying and Start Living." It's been probably 10 years ago since I read this book. But, I remember Dale writing about how he lived his life in what he called "day-tight compartments". He used a cargo ship analogy, which I won't be able to explain here well. But, basically, Dale got to the point where he mentally segmented his time off into morning prep time, time with family over breakfast, morning work time, lunch time, afternoon work time, dinner time, family time, time to read, sleeping time. And while he was in the present time of each of these "compartments" of his day he would not worry at all about the other compartments even in that very same day! It's pretty interesting to think about... when you are at work, you focus on work and you don't daydream or worry about your personal life - but, once you are off work, you then don't worry about work at all. I don't know... maybe this Dale Carnegie "day-tight compartments" is only helpful to me... 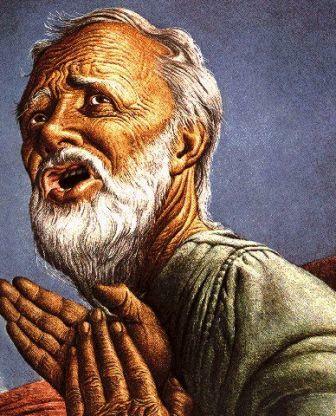 I recommend you listen to Jesus' advice on worrying before you listen to Dale or mine! :) But, if you do worry a lot, this Dale Carnegie book may very helpful for you as well. Matthew chapter 7 verses 1 through 6 are interesting. Jesus clearly says to not judge others - but then in verse 6 he says: "Don't give what is holy to unholy people." So, my thought is that we are not to "condemn" people judgmentally - but that we are to be aware of and perceptive of other people's character traits. I don't think Jesus is calling for us to walk around blissfully thinking everyone is perfect... but he is saying don't "condemn" others for their actions. 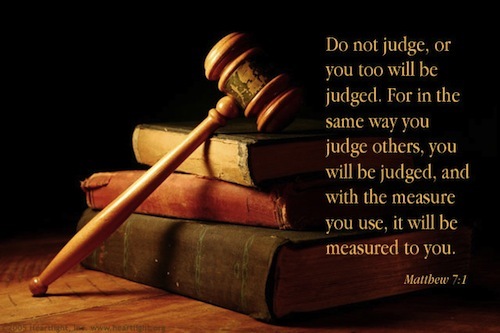 God is the only true judge of anyone's actions. I think it is still okay for us to take note of how people act or behave. Remember that 1 Thessalonians 5:21 tells us to: "Test everything." So, I do think it is okay (and even wise) to evaluate a person's character. Let me know your thoughts on this one in the Comments section below. 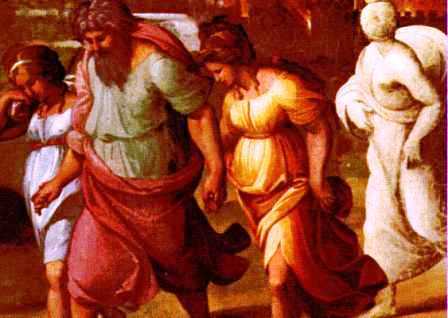 Bible.org's commentary on today's readings in Matthew titled "Materialism" is at this link, and "Misdirected Effort" is at this link. 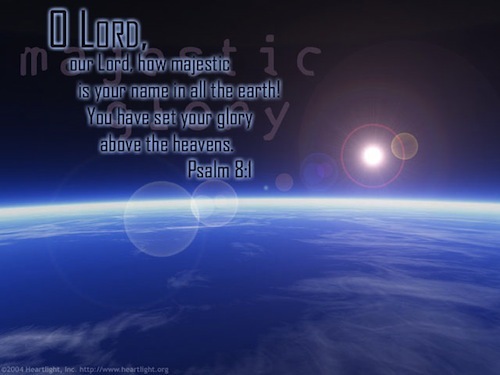 Psalms - Today we read Psalm 8! Verses 3 & 4 I love: "When I look at the night sky and see the work of your fingers-- the moon and the stars you have set in place-- what are mortals that you should think of us, mere humans that you should care for us?" What I love about this verse is that before I had faith in Jesus, and even God, I used to always look toward the night sky and just be amazed by the stars! I would always think to myself - there is no way that this all just happened by chance. There's gotta be something bigger going on making all of this happen. The night sky was evangelizing me!! :) What a beautiful thing. Have you ever had the experience of nature, God’s creation, evangelizing you? When you are out in nature, do you offer up praise and thanks to God for His amazingly beautiful creation? Worship God: Today's readings in Psalm 8 reminded me of Phil Wickham's song, "This is Amazing Grace:"
Have you received Grace? Click here and be Amazed! Prayer Point: Pray that God would show you what the narrow gate is in your life. Pray that you would enter through the narrow gate. 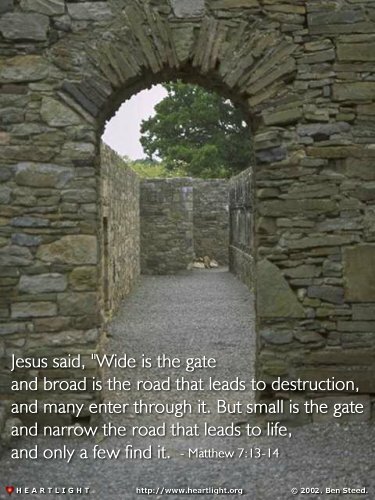 Pray that Jesus alone is your narrow gate. Comments from You and Questions of the Day: Back to Matthew chapter 7 verse 6: "Don't give what is holy to unholy people. Don't give pearls to swine! They will trample the pearls, then turn and attack you." I understand what is being said here - and I can think of specific instances in my life where this type of thing has happened. My question though for each of us is this - how do we show our friends, family, neighbors the love of God? Honestly, I have an evangelistic heart - but I don't think I really openly evangelize much. I love God so much - and it tears me up when I see my friends struggling with addictions - particularly when it seems like they are seeking God but settle for an addiction. So - I don't think this verse 6 is referring to these types of situations - people seeking God in all the wrong places. I think we are called to share the love of God with our hurting friends - with a hurting world. How do you do this? Do you pray for others? Do you give others books or Bibles? Do you send them spiritual emails? Do you invite them to church? Do you "preach the gospel at all times, and use words when only necessary?" Please let me know in the "Comments" below what you do to share the love of God with others? Thanks. Also, what verses or insights stand out to you in today's readings? Please post up by clicking on the "Comments" link below! I like that verse: Matthew chapter 7 verse 6: "Don't give what is holy to unholy people. Don't give pearls to swine! They will trample the pearls, then turn and attack you." I have been in that situation in which I have given of the treasure the Word has given me whether in college or a loved one or supposed good friend, and they want to argue and dispute the living Word. So I believe that is what these verses mean. Don't waste your time with Words that are non-responsive or effective to certain people. Give the Word to ones who seek and crave understanding. And I do have some friends who like me really love the Word and we get into good discussions. I like blogging and write several scriptures and some of what you write Mike, I share with my friends on facebook and send sweet emails to friends or text ones in need. I try to use as little words and show with actions, however, me being a talker that is really hard for me at times, but I am working on it. and I keep saying in 2013 I am also going to learn to say no sometimes. No I can't do such and such today, or no I can't babysit your child at this time, and so on and so on. I want to please alot of times and it isn't doing me any good when my heart isn't fully in it and it isn't my "best" from God and to God either. I love this site as I have through the years and I thankyou Mike for your diligence! Its neat to read comments above..of my former comments . Let's me know how long I have enjoyed this site! Per your request for comments, 1) I feel like we show our surroundings the love of God by our actions-the way we conduct ourselves- the care, compassion we have for others- Be the light that they may see. 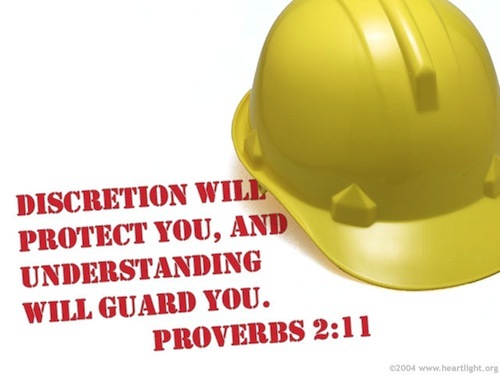 2) I do pray for others- I give scriptures to others and pass down things that others may use. I encourage- be an accountability partner for some- Yes even invite or go to church with others at their church. That's what it's all about. Doing life together! Be blessed!